Lots and lots of earrings! Too numerous to show individually. 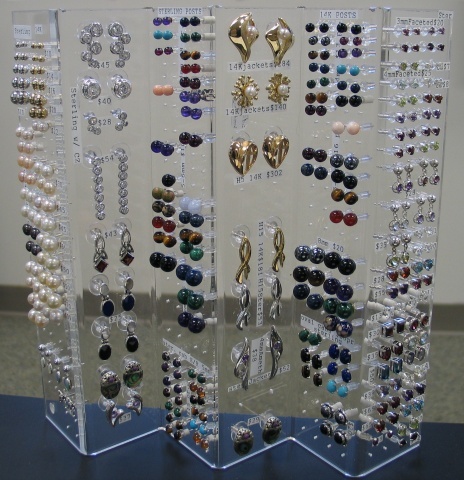 This display shows many stud styles in a range of sizes. Pearl studs, gem bead studs, faceted gemstone studs...variety of sterling posts and 14K posts. A few shown here down the center of the display are my designs available in sterling or 14K. Some are earring jackets worn with different stud earrings. Any visible pricing may not reflect current prices.